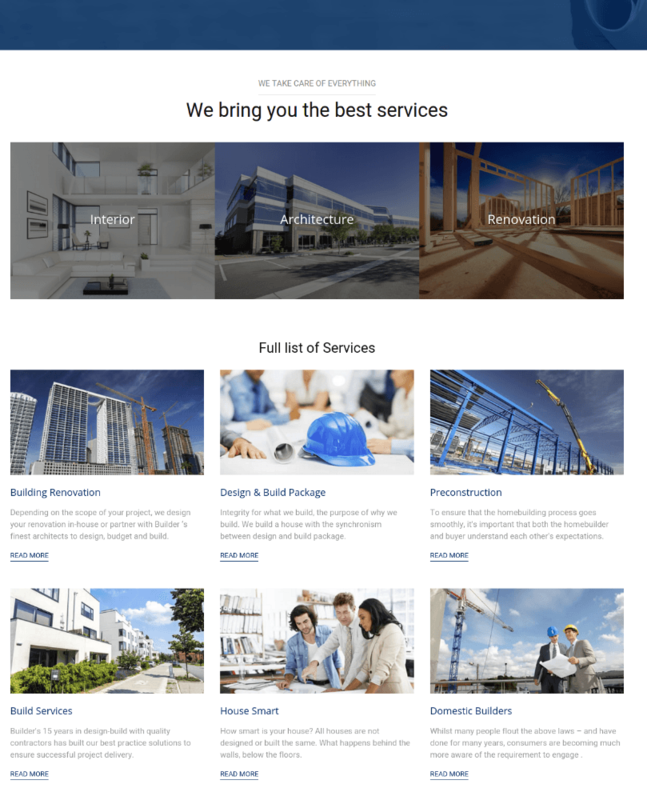 Builder is a corporate WordPress Theme that is designed to showcase the buildings and construction business in the best way to make your site appealing for the visitors. This theme presents the project pages and fast-loading galleries in such a way to attract more visitors to the site. 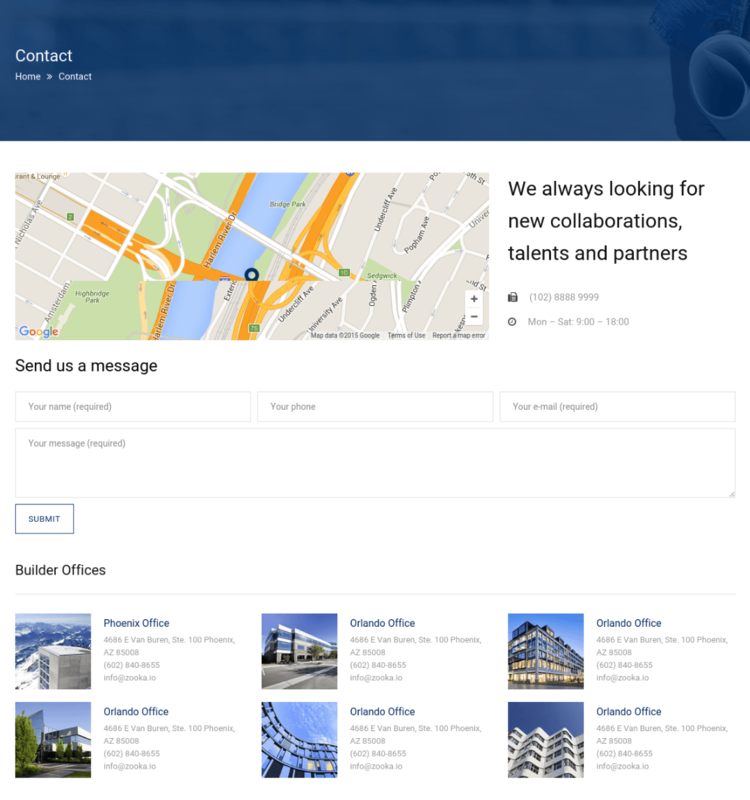 It is a very responsive theme that works great on all the devices and allows the visitors to navigate the site anywhere and anytime. It is well tested and compatible with almost all the browsers. 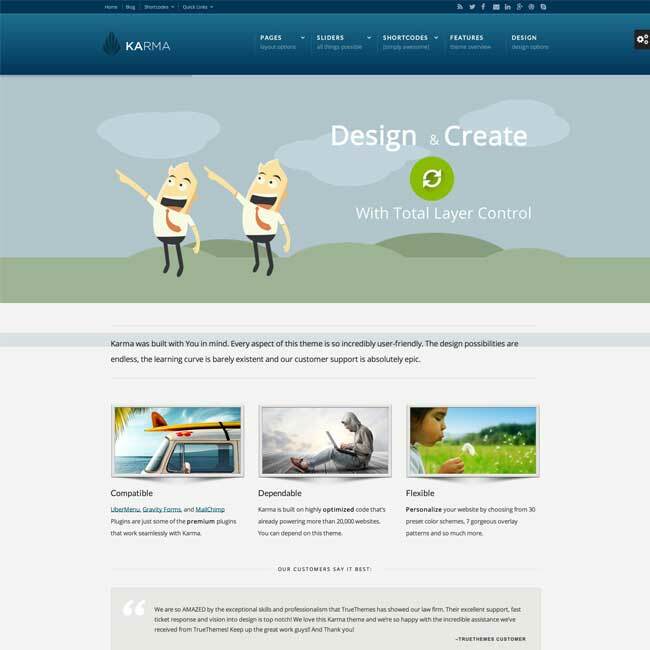 The most important feature of this theme is that it is compatible with a powerful page builder plugin called Visual Composer using which you can build any web page with any desired structure. 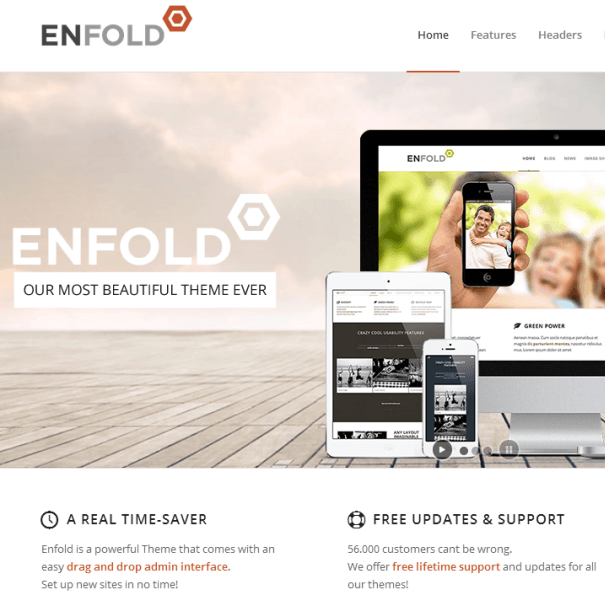 This theme provides 4 premium plugins for free saving $80. 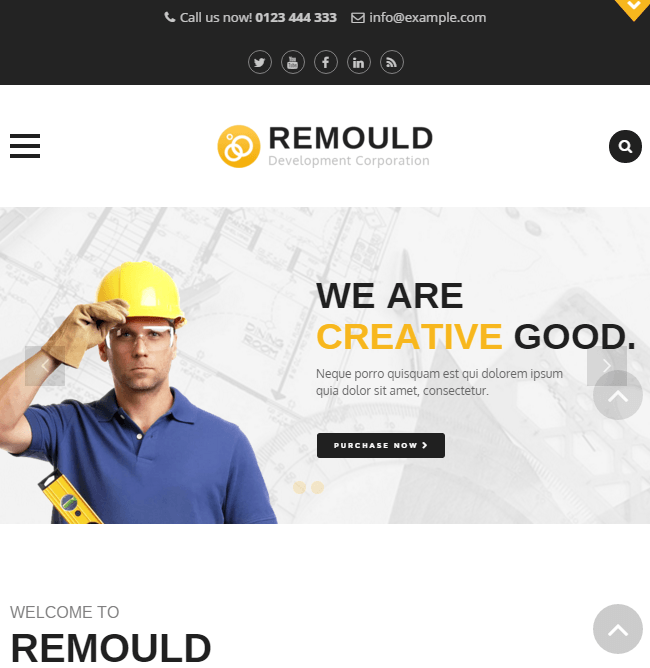 This theme is compatible with the WPML and WooCommerce plugin to build online store for your site. It also provides with the Mega Menu where where all the categories, featured images can be listed very easily. 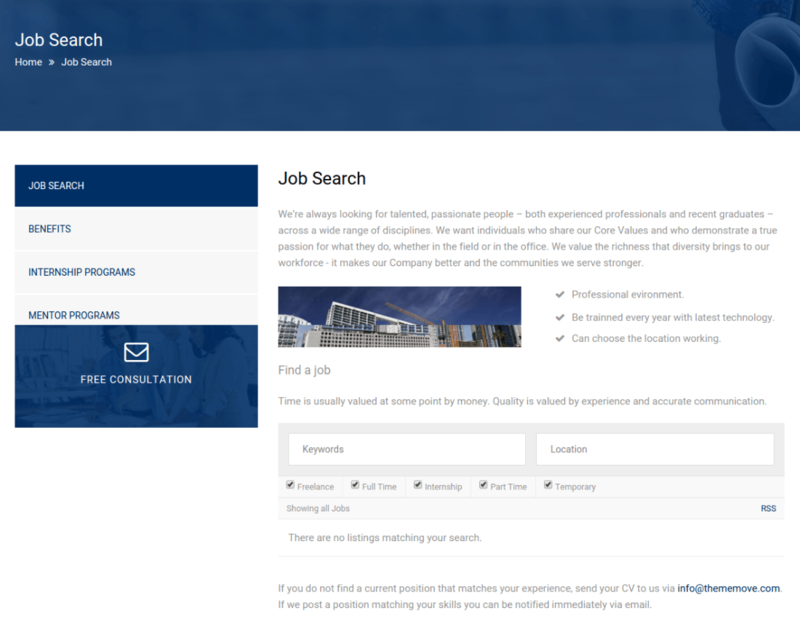 It supports two layout options – boxed and full-width and three post layout options – full-width, content sidebar and sidebar content. One can easily navigate from one menu to the other by providing with Sticky header for this theme. There are about 600 Google fonts and different Font awesome icons to give different look and feel to your site. 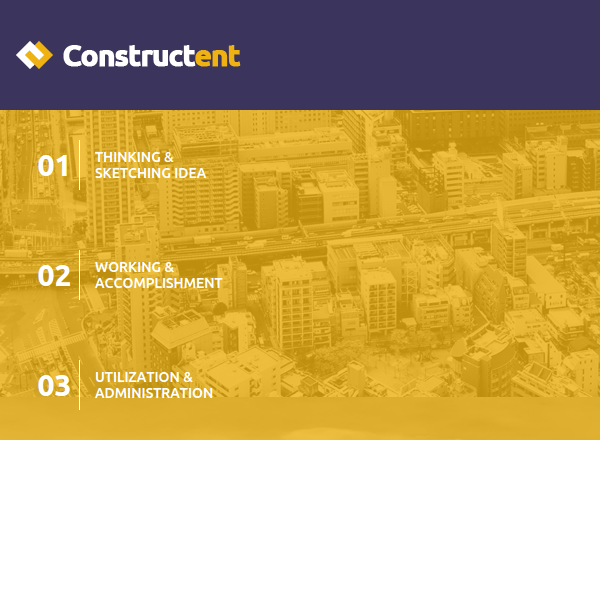 It is best theme for real estate business which comes with many features which is important to showcase the building and construction business by best which appeal to customers and visitors. This theme comes with WPML, WooCommerce, visual composer plugin support which build your site with effective look. 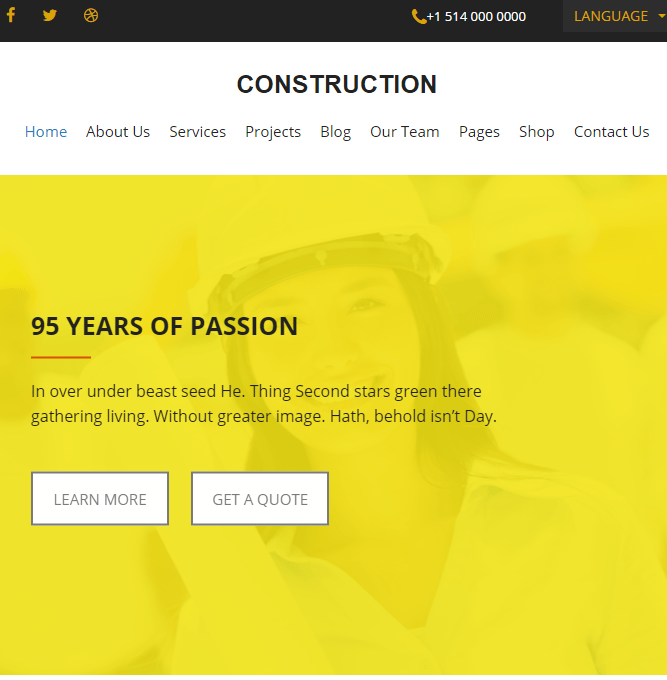 Responsive WordPress Theme for Construction Websites.